This morning iRobot announced the newest addition to the Scooba line of mopping robots, the Scooba 390. As of this morning, the 390 replaced the 380 and 385 in the iRobot online store, while the diminutive Scooba 230 (see our review, here) remains. 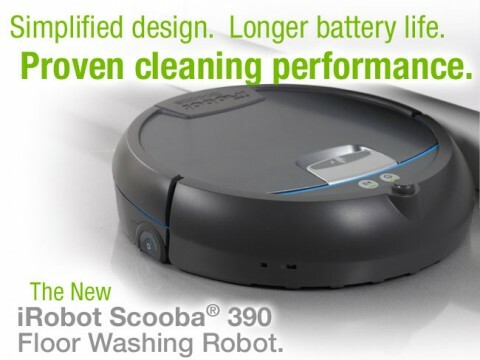 According to iRobot, the new Scooba comes with “simplified design and longer battery life.” From comparing the specs to the older 380 and 385 models of Scooba, this looks like the only difference. 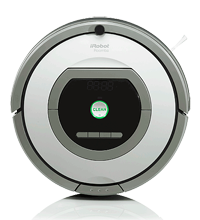 So unlike iRobot’s Roomba 700 series, it would appear that the new Scooba isn’t much of an upgrade over previous models. The Scooba 390 is available from from Amazon . As with older Scoobas, the new one cleans with a four stage process, prepping, washing, scrubbing, and using a squeegee to wash the floor. The robot has two separate internal water vessels, one for clean water, and the other for dirty, so it does not re-use the water as it cleans, which is actually pretty cool. One advantage that the 390 has over the 230 is that it does vacuum the floor as it goes, so there is no need to sweep the floor before using it. The new Scooba uses iRobot’s iAdapt cleaning technology, which is how the robot gets around the room. Like a Roomba, the Scooba uses different behaviors in a random way to cover all areas of a room (as opposed to mapping the room). So it will do wall-following, spiraling, bouncing around in random directions, and other behaviors until it calculates that it has covered the entire floor surface three times. Other things that bear mentioning: The Sooba has cliff detection sensors that keep it from driving off the top of stairs. Maintenance is simplified with all the parts that need to be cleaned being marked with colors. 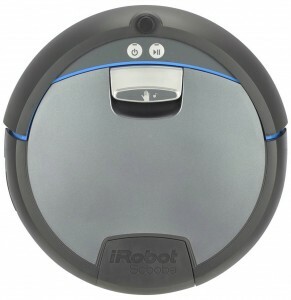 Also, Scoobas work with iRobot’s virtual walls so the robot won’t venture out of the room it is currently cleaning. Included with the Scooba 390 is: the robot itself, rechargeable battery and charger, a suction bulb, four sample packets of the Natural Enzyme Formula cleaner, and one Virtual Wall. Not included are the two D cell batteries needed for the Virtual Wall. 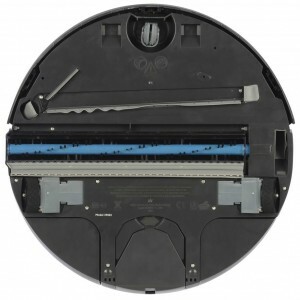 The robot mop comes with a one year warranty on the robot, and a six month warranty for the battery. 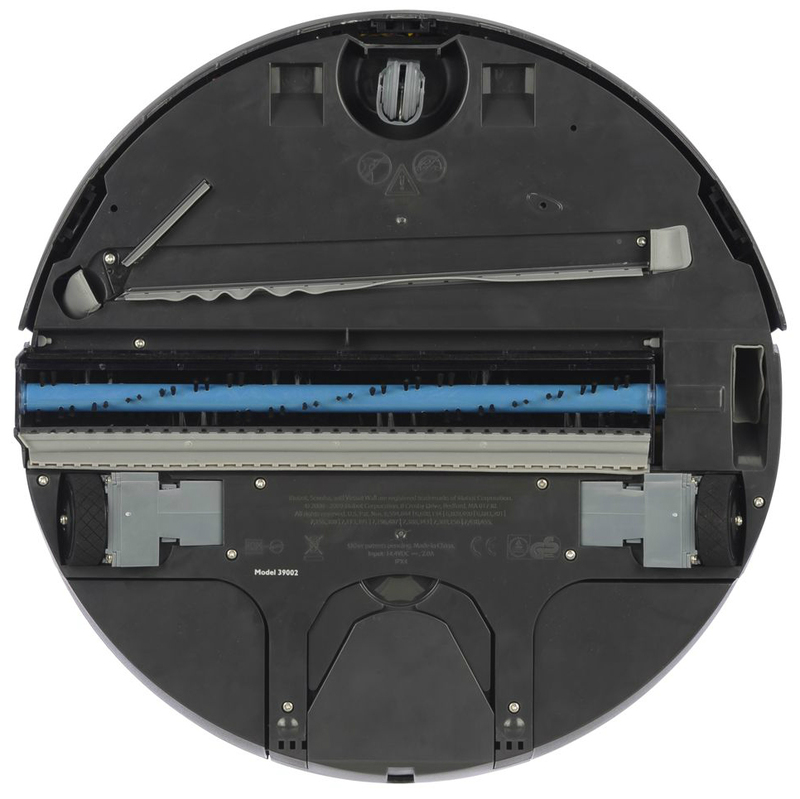 Find more information on the Scooba 390 at iRobot’s website.